Moire’s first interest lay in science. And though she was athletic as a child, she dropped netball at 18 to concentrate on the Viola. “I played in the Ulster Youth Orchestra,” she says. After university, Moire worked for the missionaries in Kenya. After seven years she left Africa, and worked for Concern in Dublin. When the financial crash came, she and her husband left Ireland for Nepal, then Cambodia. Moire self-published an account of the Wicklow challenge before getting a publishing deal for her debut. Date of birth: 1976, in Derry. Education: Thornhill College. (Home of #Derry Girls.) University of York: BSc Chemistry. This included a year in France. University of Manchester: MA in Development, Administration and Management. Home: Rostrevor, County Down. At the foot of the Mourne Mountains. Family: Husband, Pete Power, Microfinance Specialist. Sons Aran 4, and Cahal, 2. The Day Job: Mum and writer. Training to be a Mountain Leader. Favourite Writers: Currently Julia Donaldson; Oliver Jeffers; Roald Dahl. 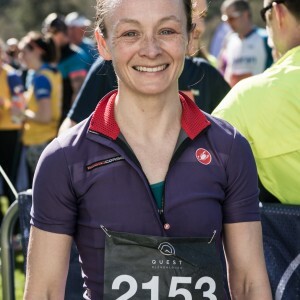 Moire’s husband wants children, but as a competitive mountain runner, she’s less sure about parenthood. Is it possible to combine pregnancy and babyhood with a punishing training schedule, and still win Ireland’s National Adventure Race Series? The Verdict: A well written, honest, and amusing account, which will prove invaluable for mums who run. Published on 30th June in the Irish Examiner.